Moeller said it had saved $750m in agency production costs and improved cash flow by more than $400m through the introduction of new payment terms. P&G is aiming to save a further $400m and will implement new advertising and media agency models, he added. “We need the contribution of creative talent and are prepared to pay for that. But we’ll move to more ‘fixed and flow’ arrangements, and more open sourcing of creative talent and production capability,” he said. 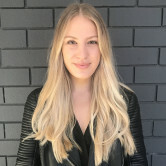 The move could impact MediaCom in this market, however in the past P&G's Australian operation has bucked the global decline in ad spend with P&G increasing its spend in this market. Australian creative agencies could be impacted, with several working on individual P&G brands. Moeller's comments suggest P&G is looking to move to more flexible, project-based relationships with agencies rather than fixed contracts. The company, which reported $7.1 billion in ad spend last year, cited viewability and reducing ad fraud as two factors behind a 10% increase in reach on a 2% increase in ad spend. Moeller said that media transparency - the subject of a landmark speech by P&G's chief brand officer Marc Pritchard last January - had "improved”. But he noted there was more room to “eliminate waste”, non-viewable ads and bot traffic. The comments about increasing automated media buying hint that programmatic trading could be in-housed. Despite beating Wall Street forecasts on its top and bottom lines and gaining market share, growing 1% last quarter, Moeller said that P&G is still losing market share globally. How the FMCG plans to increase market share by decreasing how much it spends on advertising and media remain to be seen. Agency cuts are continuing at Procter & Gamble with the FMCG juggernaut announcing it would be moving more media planning and buying in-house, despite reporting encouraging sales for the last three months of 2017. The company beat analyst forecasts for second quarter sales growth and earnings per share, with organic sales growth of more than 2%, as it increased media spending but slashed agency and ad-production costs. 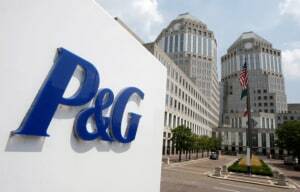 Speaking on an investor call, P&G chief financial officer Jon Moeller said it had reduced the number of agencies it worked with from 6,000 to 2,500 as part of an effort to axe US$2 billion in marketing spend. It now wants to half this number again.